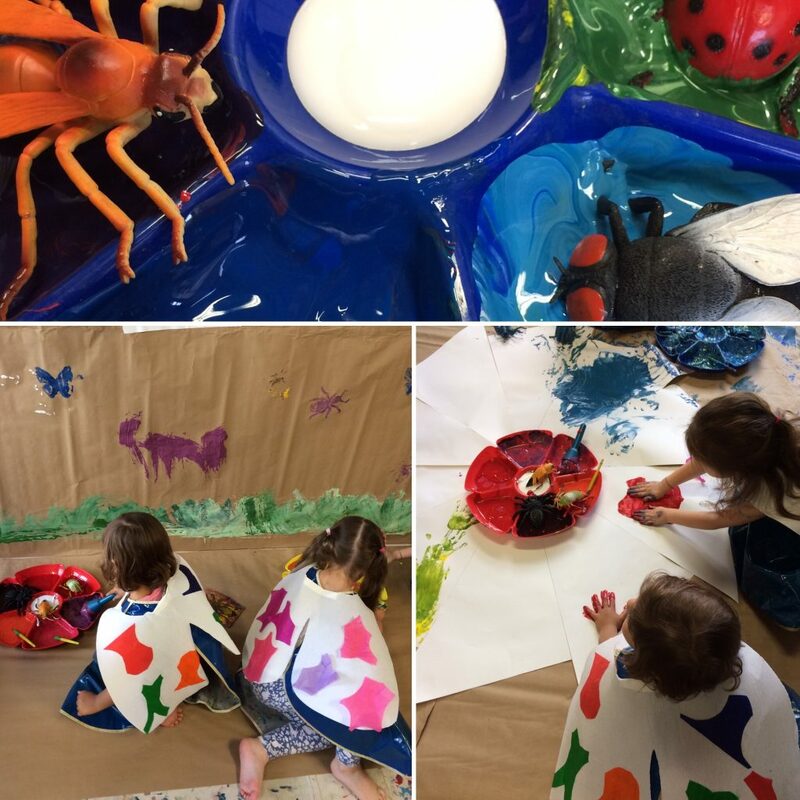 Do you remember your own childhood fascination with bugs? Get low to the ground with your kids, as they watch their first trails of ants march by, and it’s easy to recall the questions and thoughts that tiny creatures first evoke. 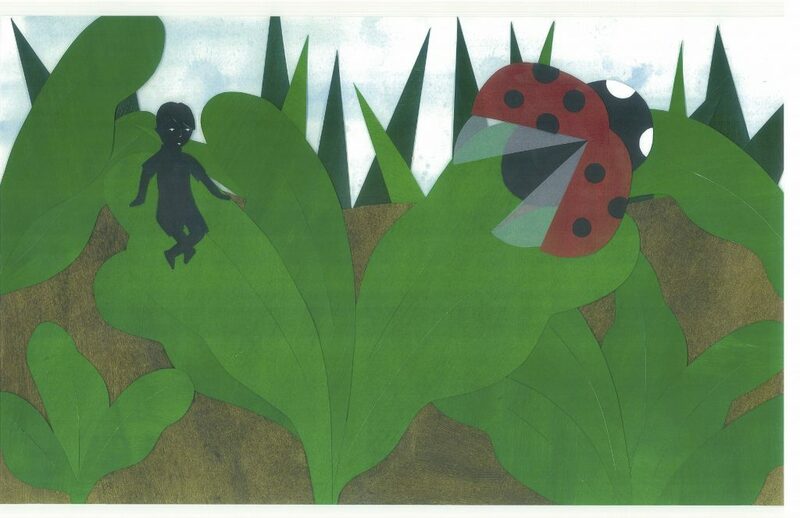 For our “bug’s-eye view” week, we take inspiration from Robert Louis Stevenson’s poem, “The Little Land,” from his 1885 book of poetry for children, A Child’s Garden of Verses, which you can find in virtual form in its entirety at the Robert Louis Stevenson website. 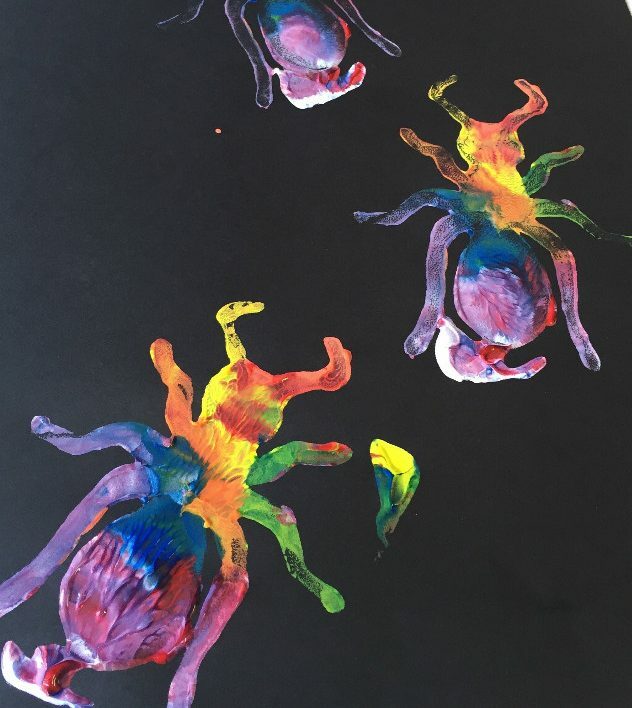 We read an excerpt of “The Little Land” in pink session PLAY music, but this week the creatures of Stevenson’s poem are creeping into the art room too. 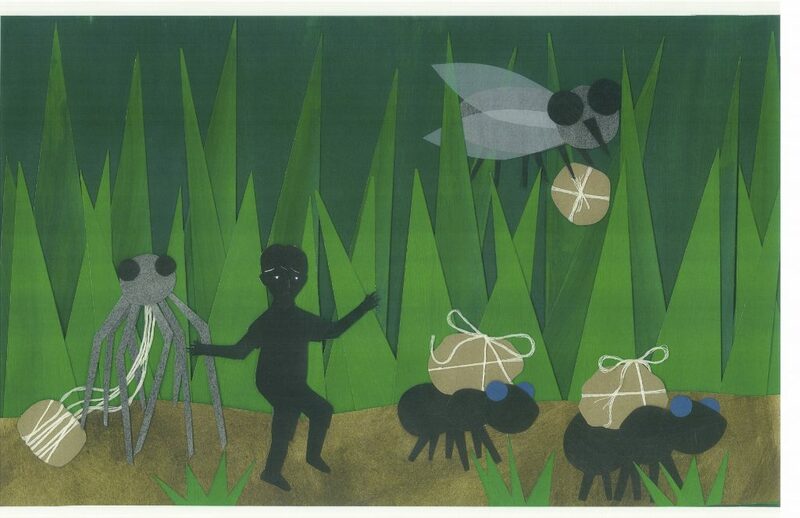 This Thursday, Rebecca will be reading PLAY’s illustrated excerpt of Robert Louis Stevenson’s poem, “The Little Land,” followed by art time inspired by Vivian S. Chen’s collage illustrations. Arrive by 10am to catch the reading. Toddlers to five; drop-in. Complete info is here. 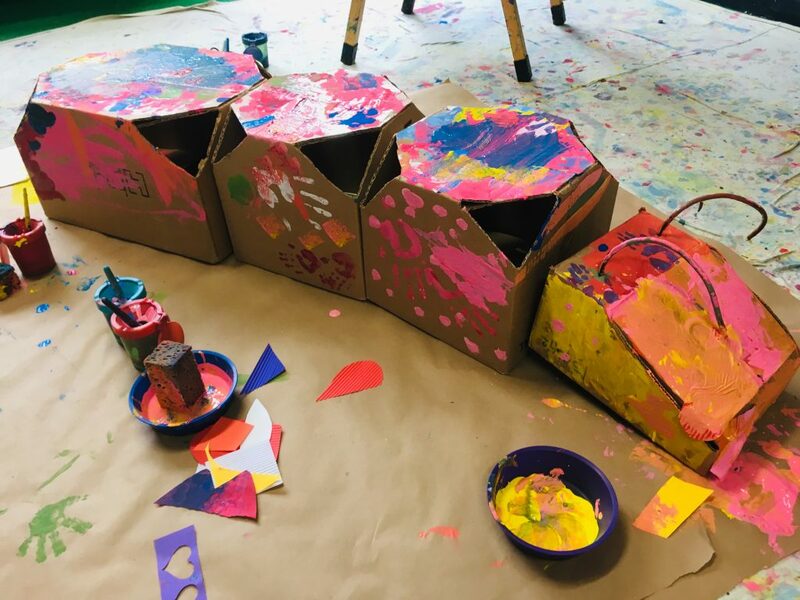 The 2- to 5-year-olds in our session-based art program, Messy Mixed Media, are in the middle of three weeks of bug-themed projects, including a sensory exploration with shaving cream, paint, and dough, bug collage, and a garden installation with wearable art. 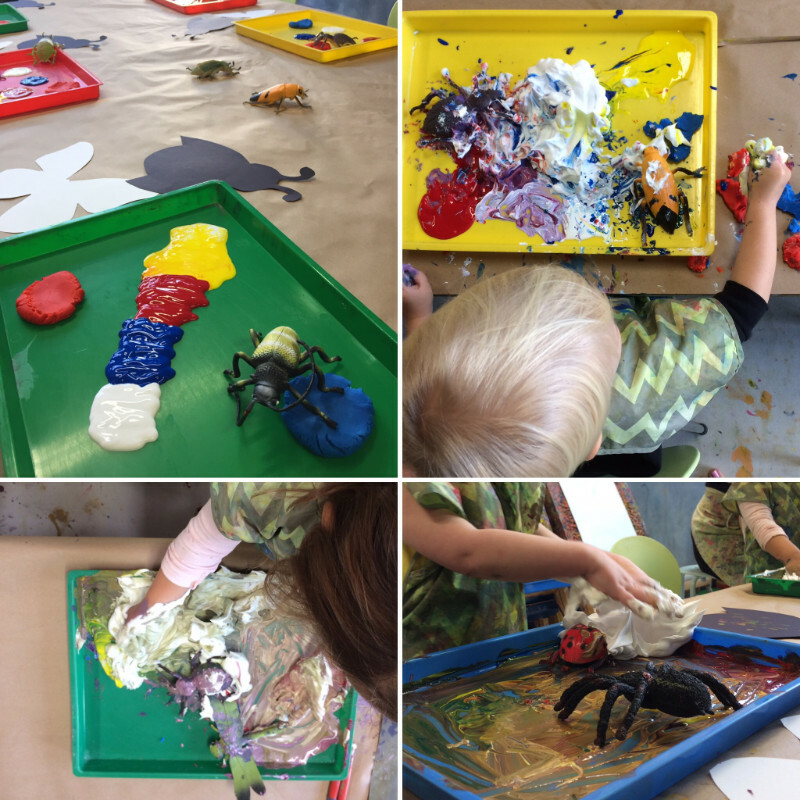 A new session of Messy Mixed Media begins April 2nd. Enroll online here, or add the class to your Spring PLAY music enrollment at the combo rate. You can stream a rotating list of favorite PLAY music recordings (including “La Araña Pequeñita”) on SoundCloud. Not enrolled in PLAY music yet? Join us for spring session. If you’re brand new to our music & movement curriculum, you can also book a demo class (more info). 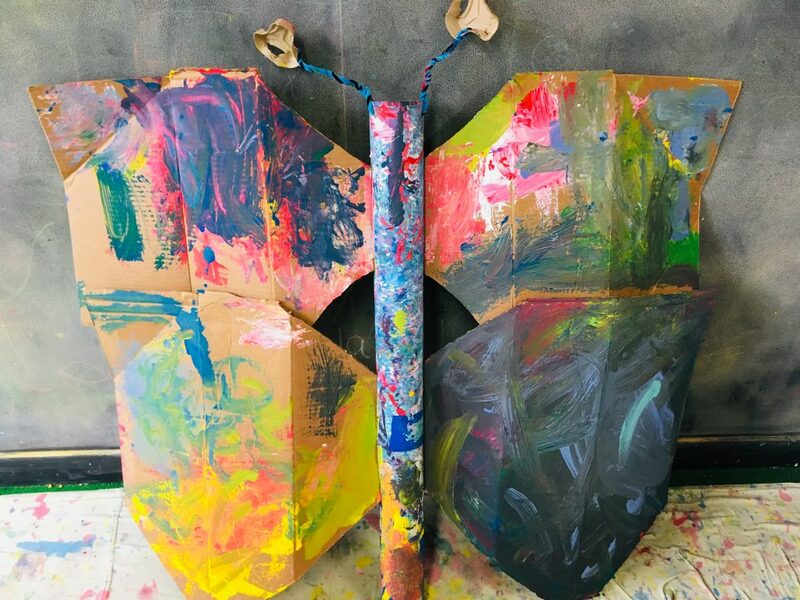 During Messy Art hours this week, see how many colors you can paint on one of our bug stamps, or make tiny footprints on your paper with a giant plastic bug. Toddlers to five; drop-in. Complete info on drop-in art is here.